ABC news conducted a telephone survey in 2005 to over 1,000 adults. Of those who considered themselves “evangelical Protestants,” 94% believed they were going to heaven. 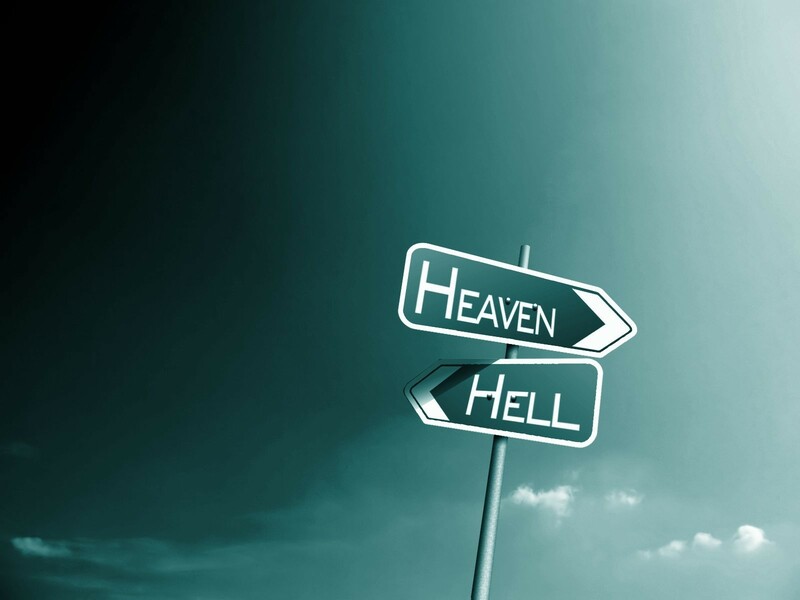 A separate study was conducted, and found that less than 4% of people believed they were going to Hell. Think about how seemingly spiritual people can be and still not make it to heaven. They called Jesus Lord, they prophesied, casted out demons, and did many wonders in his name. These people look more spiritual than the average churchgoer, and yet they will be rejected by the one they call “Lord” to eternal damnation. At this point, you might be thinking to yourself: Are you trying to scare me into heaven? Is this the type of message that is unloving and unkind? People say, “You shouldn’t scare people into heaven.” But think about it. Why not? We are scared into all kinds of things. Of course, as we grow in grace, our motivation will less and less be the fear of Hell and more and more of the sheer love of God. But don’t forget that sin’s ugliness or the fear of eternal damnation, this stirring of conscience, is a gift of God and a prompting of the Holy Spirit. Have you put your trust in Jesus? Are you certain that if you were to die today you would go to heaven? If you want to learn more about how to have a relationship with God, please click here. Don’t wait until it’s too late. God bless and have a wonderful day. Yea. You are exactly right. People have a tendency to base their salvation on comparing themselves to other people rather than on God’s standard. His standard is perfection, which requires us to humble ourselves, trust in the grace of Christ alone, and repent of our sins. Thanks for commenting. Have a great day brother. Hmm… I think we need to hear this and remind ourselves of it once in a while or more regularly? That after we have sincerely served and preached to others, we won’t ourselves be a cast away in hell. Thanks for the healthy reminder… My we not miss eternity with Jesus IJN. This kind of message is missing in the pulpit today,may God help us.